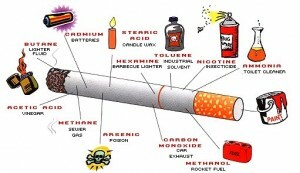 Cigarettes are proven to be carcinogenic and smokers know the health risks they are facing. Smokers of cigarettes have a far greater likelihood of dying from cancer at a younger age than non-smokers. All over the world, the tobacco industry has significant political influence. Can we afford for the countries smokers to quit cigarettes? The Chancellor would lose over £12 billion in tobacco duty. Alcohol is harmful for its users and also raises billions annually in tax duty. The relative safety of electronic cigarettes has been featured in several press articles in recent months. If everyone stopped smoking, the government would have to raise £12.1 billion from other taxes to balance its books. So it seems that politicians will protect us from ourselves unless there is too much money at stake, in which case it’s OK for us to die in large numbers. At some point as the revenue from tobacco duty falls, the government will look to regulate and tax e-liquid and vaporizers in order to replace the lost taxes. When regulation of vaporizers happens, smaller retailers will be forced out of the industry by the giant chemical companies that dominate other sectors of the smoking cessation industry. Whatever means smokers use to get their nicotine hit, the government will aim to tax in order to protect their revenues. It is probable that health concerns will be used to regulate e-cigarettes which will allow the government to tax them and recover lost tobacco tax revenues. Two powerful industries, the tobacco and the smoking cessation sectors are going to be worst hit by increased e-cigarette use. Many smokers like the satisfying nicotine hit that they get from an e-cigarette in preference to using patches or gum. Tobacco companies, fearful of losing customers don’t want e-cigarettes to grow in popularity, however they aren’t in a position to credibly argue against them on health grounds. It is suspected that some tobacco companies are quietly supporting the anti e-cigarette stance being taken by the smoking cessation industry. The government needs to decide whether it wants the £12 billion in duty or a healthier nation, rather than continuing to try to achieve both at the same time. The danger for the government is that because it is quite easy to make e-liquid, it would also be quite straightforward for people to avoid paying duty on their e-juice. The level of duty on e-liquid will have an affect on the amount of users that start to make their own. Many smokers are happy to try smoking a cheaper cigarette regardless of where it comes from. The faster the use of e-cigarettes grows, the more likely they are to be regulated. If e-liquid can’t be taxed successfully then in all likelihood the government will instead ban electronic cigarette devices. If electronic devices can’t be taxed successfully then regardless of the fact that they are a less harmful alternative to smoking, they will ultimately be banned. Electronic cigarette devices are bound to be regulated in the next few years as this will enable the government to tax the e-liquid and replace their lost tobacco duty revenues. Taxation of e-liquid would go some way towards mitigating the gradual erosion of tobacco duty revenue. The only way the government can control the loss of tobacco revenue will be to regulate electronic smoking devices.